Fishing in Iceland is becoming increasingly popular. This is because it is proving to be up there with the best destinations for catching lots of species including big Cod from the sea and Giant Brown Trout from the freshwater lakes. Iceland is a country to rival others for its fishing potential. The land of fire and ice is slowly giving up more and more of its fishing secrets. Ever fancied targeting huge Cod in Iceland? Well we are pleased to offer you this fantastic opportunity to do battle with such fish in the comfort of your very own boat. Either choose to be fully guided or DIY, the option is yours. We provide the very best boats that come fully equipped with all the electronics to make your stay perfect. Suðureyri is on the west coast of Iceland and perfectly situated for sea fishing, just inside on of the western fjords, this town has everything the travelling angler can look for. Whether you choose to target the huge Cod or the massive Halibut, we are sure that you will find Iceland to be a real treasure. Iceland is an island situated in the North Atlantic and this land is still volcanically active with lava flows still active to this day. The landscape of Iceland consists of mountains, glacial flows and lava flow with fresh glacier fed rivers leading to the sea making for some stunning scenery whilst fishing. The seas surrounding Iceland make for some amazing fishing with some very big fish just waiting to be caught. 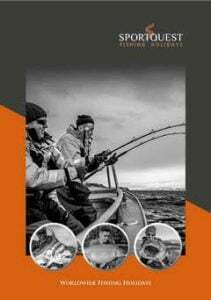 The sea fishing in Iceland can be extremely productive for anglers who are fishing there with both boat and shore fishing being some of the best fishing in Europe. The species you will find when sea fishing in Iceland is varied but they include some outstanding Cod fishing along with some very big Halibut just waiting to be caught. Add to these species other fish like big Coalfish and Plaice you have the makings of a very good sea fishing holiday for those wishing to travel to destinations such as Sudreyri and Flateyri to target these hard fighting fish. The freshwater fly fishing in Iceland is equally as good fishing for the travelling angler. The giant Brown Trout fishing in Iceland can prove to be outstanding with some monster fish being caught by customers to destinations such as Lake Thingvallvatn. The fishing in Iceland is something that’s not to be missed by anybody wishing to travel and catch some amazing fish. Contact our expert team, who will help you to organize your perfect fishing holiday.